Promotional Pens Personalized in Bulk. Best Metal Pens in USA, Canada. 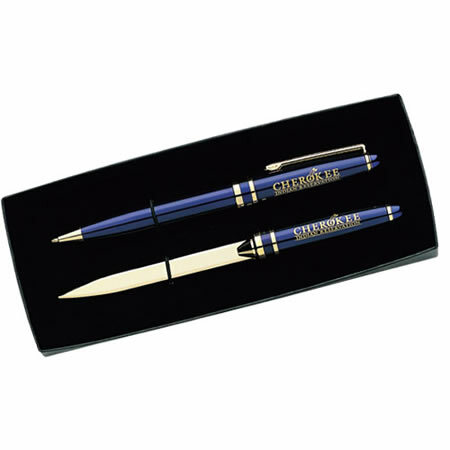 Promotional Metal Pen Set, Custom Printed or Laser Engraved. Tahoe Brand. Budget Prices in USA and Canada. 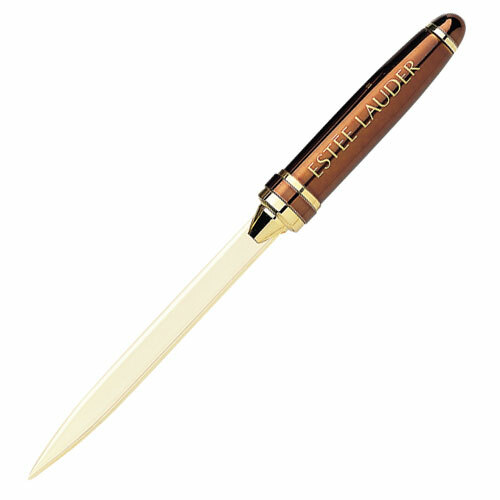 Quality, smooth writing metal ballpoint pen set, personalized with your custom imprint or laser engraving. Discounted 35% off the regular price: Lowest prices in USA and Canada. American clients pay no taxes. Free artwork design and free proofs! Unit prices below include your 1-color custom imprint or your custom laser engraving in one location: the same low price! Additional Imprint Colors (minimum 250 pens): $0.15 per additional color, per pen. We also supply bulk blank (not personalized) Tahoe pen set for EQP (End Quantity Pricing). 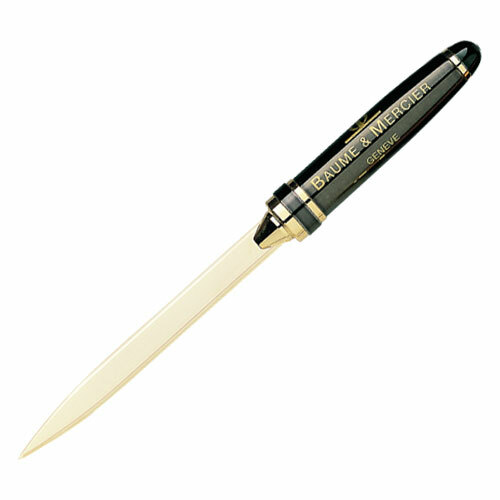 - Style: Metal Twist Action Ball Point Pen & Matching Letter Opener. - Laser Engraving Maximum Size: 1” x 1/4” on caps. - Packaging: Black Presentation Box # 11.